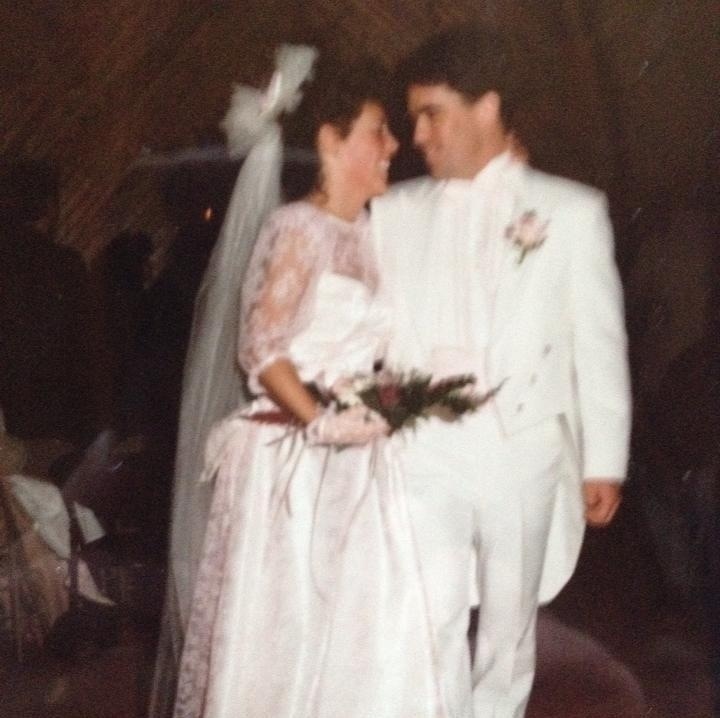 Today is our 25th wedding anniversary! I’m blessed among women to be loved by someone so kind, smart, loving and fun to argue politics with! Love ya Thomas! Congratulations and best wishes to you both today Syrin! I have. He’s a stud muffin for sure. Congrats on the 25 years! I’m very impressed, but not one bit surprised. Awwww…what a nice way to end my day – look at you guys – surrounded by people at your wedding but the way you two are gazing into each other’s eyes, you’d think nobody else was in the room at that moment. Precious!